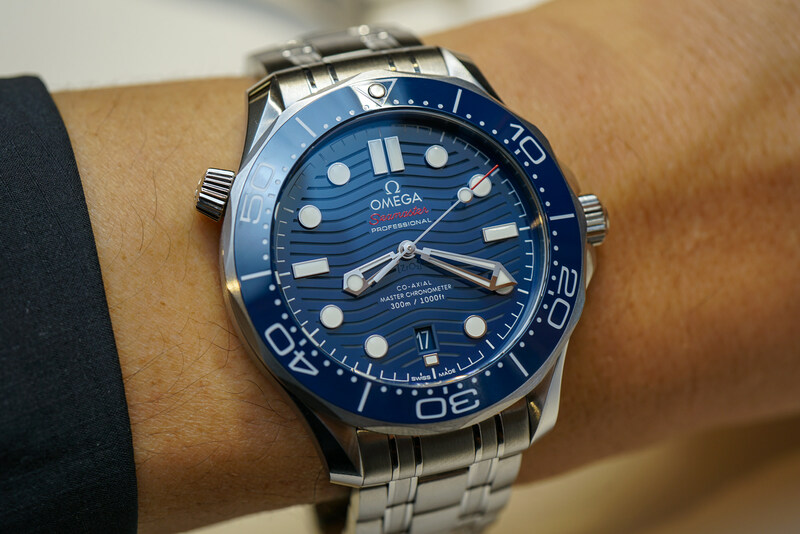 It should come as very little surprise to anyone that Omega was primed to refresh the Seamaster 300 Diver collection for this year's Baselworld – it is the 25th anniversary of the Bond Seamaster, as well as the 70th anniversary of the Seamaster. But how Omega would modernize the 300, and bring it up to Master Chronometer standards was wide open for speculation. 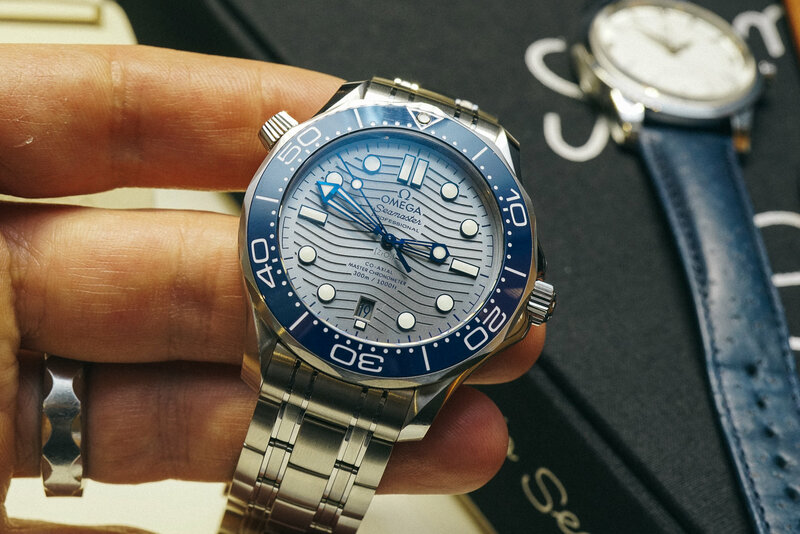 • Master Chronometer Certification: The new Seamaster 300 is now fitted with Omega's 8800-series Master Chronometer, which, if you'll remember, carries a 55 hour power reserve, and a quickset date, rather than the "Travel Time" adjustable hour hand on its bigger 8900-series brother. 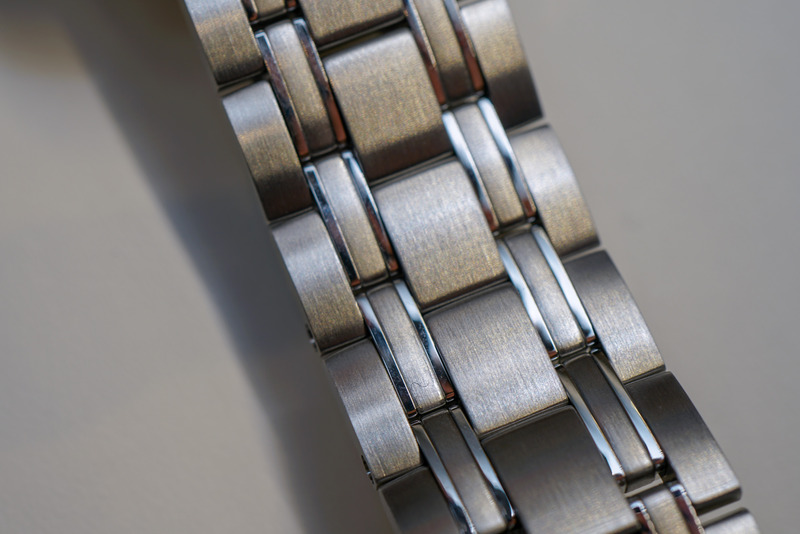 Like many of Omega's Master-series movements, the color-matched date aperture has moved to 6:00, and you'll be able to see the movement through the exhibition caseback. 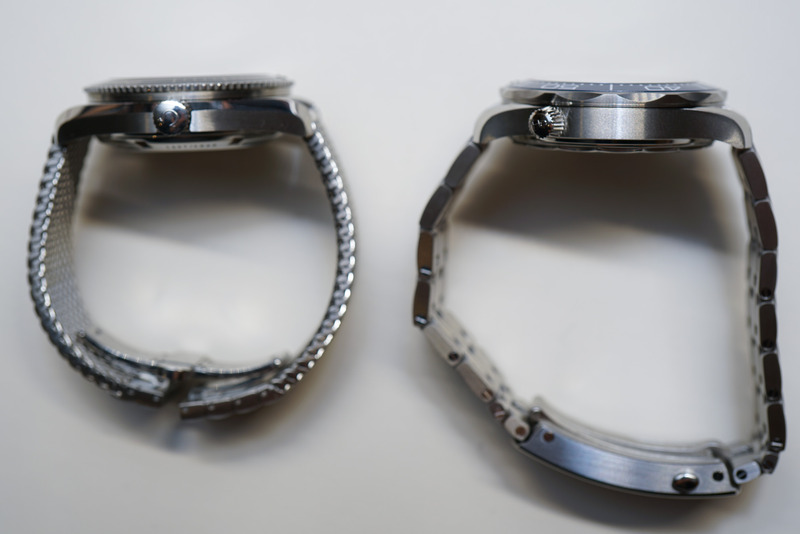 • New 42mm cases: Many fans of the Seamaster were concerned that the Master Chronometer movements would increase the size of the 300 – which it did, but only just. 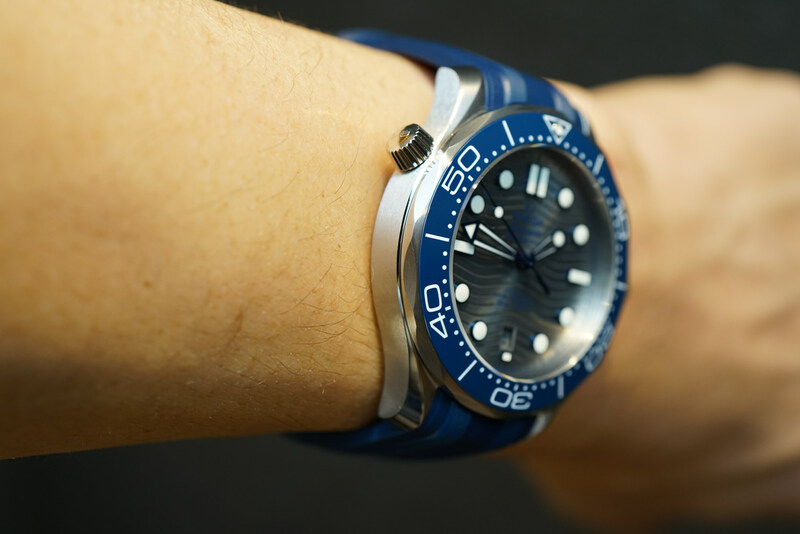 The new Divers are 42mm, and have increased in thickness by only 1mm, ultimately preserving the nice slim profile of the original. The crown, crown guards, and helium-release valve** have all also undergone minor edits to modernize the design and keep things proportionate with the increase in size. One slightly major edit in addition to the aforementioned would be the ceramic bezel, which is now built similar to Omega's Liquid Metal technology, but with white enamel instead of the 'liquid metal' infill, resulting in a permanent, brilliant contrast between the colored ceramic and the markers. 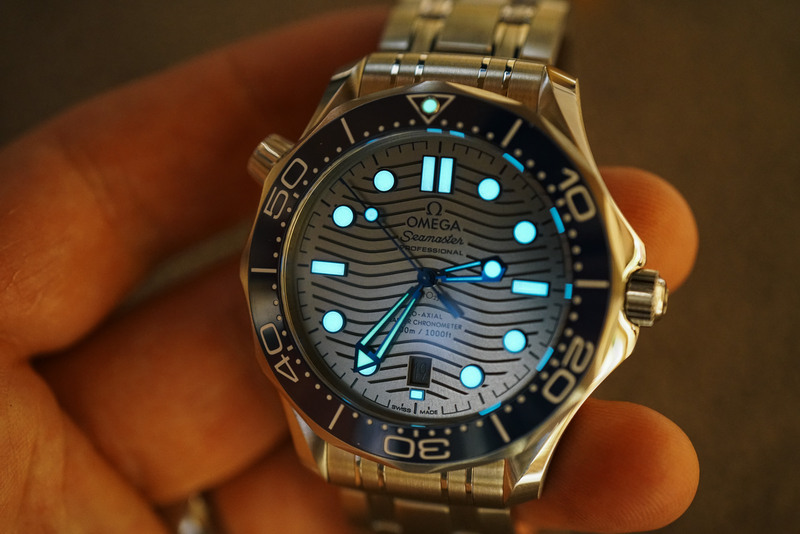 ** One thing to note about that helium valve is that Omega states that it "can be opened underwater," which is an odd thing to say, considering a helium valve would only ever need to be opened when the watch was fully dry. 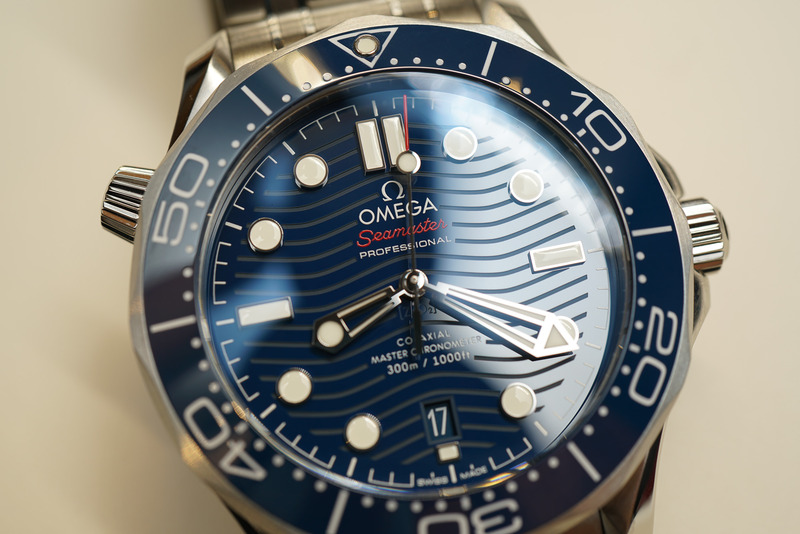 We pressed our Omega representative on it, and he clarified the statement by saying it was meant to inspire confidence in the watch's water resistance, as the crowns have been designed in such a way, that even if open, the Seamaster 300 is still fully resistant to 50 meters. • New Wave Dials: Rumors were flying that the ‘waves' were coming back, but no one knew exactly what they'd look like. We now know that they are rendered in a glossy ceramic like the previous generation, but with a new wave form, which is laser-etched into the dial. The effect is quite a bit more muted in person compared to the press renders, which I think fans are really going to like. The dials have also gotten a subtle new minute track, along with the ‘maxi' treatment – slightly wider luminous surfaces on the handset, and wider hourly indices. And as you can see below, this watch is an absolute torch in the dark. As always, stay tuned for more in-depth impressions on not just the Seamaster collection, but for our updates on the new Speedmasters as well. 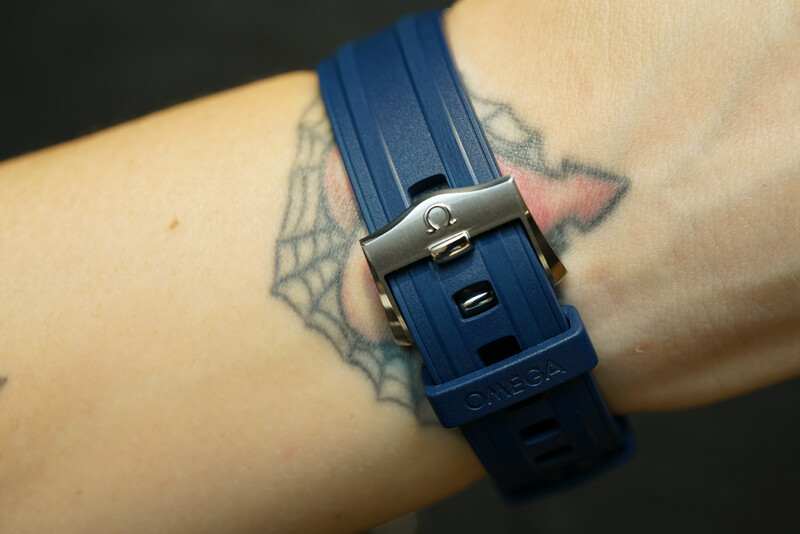 If you have any questions about the new models, or are interested in pre-ordering one, email us at info@topperjewelers.com, or visit our new Omega Pre-Order Central page to reserve one online. 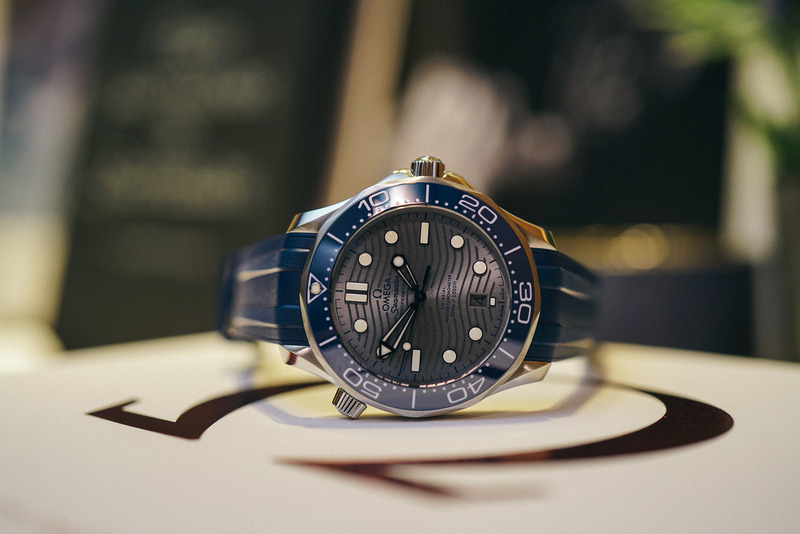 If you don't see your desired Seamaster in the Pre-Order Central, don't worry, just call the shop at 888-730-2221, and we'll be happy to assist you. 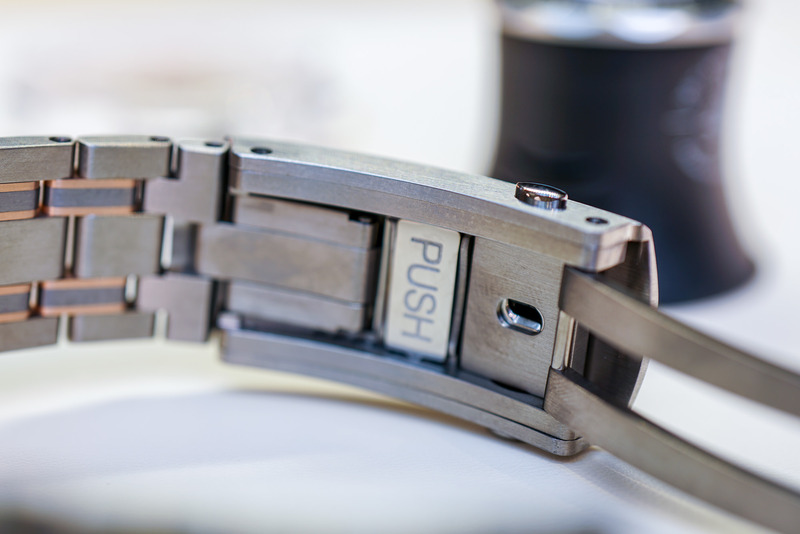 For the latest in the rest of Topper's show coverage, head over to our Baselworld 2018 page, which we'll be updating following every brand meeting.